A sleep disorder, especially one that results in you not getting enough sleep, can bring about safety risks for you and other people. 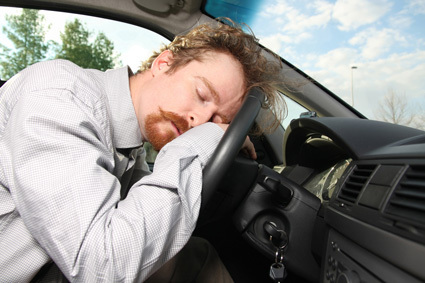 For most people who are sleep deprived, it is the daily use of the car which puts them most at risk. Sleep disorders and safety risks are closely linked. If you drive away in your car each day with only a handful of sleep hours, you could simply fall asleep behind the wheel. Just a momentary lack in concentration because of fatigue can lead to a very serious accident. Depending on your job, you or the people around you could be at risk if you doze off during the day. Construction sites are dangerous places at the best of times, but nodding off while you are five stories off could have disastrous consequences! Lack of sleep is potentially very serious if it affects safety. You may be suffering from a sleep disorder which can be relieved with modern techniques. When you are unable to get enough sleep because of a sleep disorder like sleep apnea, it can have many effects on your everyday life. You could have difficulty concentrating on daily tasks and if you are confronted with a potentially dangerous situation then your reaction time will be markedly reduced, making you more accident prone. If you fail to get your sleep disorder treated you could begin to suffer from high blood pressure and heart disease which can be fatal. In a nutshell, by not properly diagnosing and treating your sleeping disorder, you are putting yourself and others at risk. Fortunately, there are ways that dental treatments can help you sleep better and decrease your safety risks. If you are having difficulty in getting enough sleep you should explore the possibility that it is a sleeping disorder which can have a dental solution. An examination can detect whether you are suffering from sleep apnea, which can develop when your airways are not fully open at night. When your airways start to close up, your body responds by making you wake up – often gasping for breath. This temporarily unblocks your airways and you sleep restfully until the next time which may only be a matter of minutes later. We have access to dental devices which will ensure that you can breathe more normally at night so that you do not wake up unexpectedly. For example, there is a Tongue Restraining Device (TRD) which secures your tongue down so it doesn’t block your airways and the mandibular advancement device (MAD) which pulls your jaw forwards and downwards so as to enable plentiful air flow. Either of these devices can help make your life safer by giving you more beneficial sleep patterns. If you are worried that your tendency to fall asleep during the daytime is putting you and others at risk, then you should consider being examined to find out the cause. 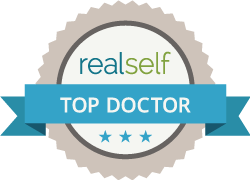 Sleep disorders like sleep apnea can be relieved with modern dental methods. Sleep disorder treatment will mean a good night’s sleep, normal reaction times and a greater ability to concentrate on all types of tasks.